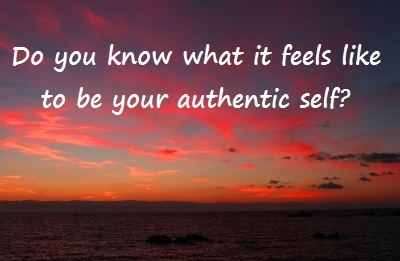 Do you know what it feels like to be your authentic self? Let me ask it another way. Do you spend most of your life being the ‘real you’ or do you find yourself wearing masks, pretending to be something that you’re not, trying to be something for someone else? Do you spend your life acting in ways that contradict what you feel in your heart and soul? I’ve come to learn that in order to be truly happy, I mean truly, truly happy, it is essential that we become authentic. Let me rephrase that, it’s essential that we live as our authentic selves. Looking back at my own life, I can’t remember a time until the most recent past when I could actually feel comfortable being myself. I wondered why that was. Why couldn’t I feel comfortable being myself? I realized that at a very early age, like most people, I was convinced, that I had to be a certain way, act a certain way, even look a certain way to be accepted by the people in my life and by the world at large. And there are a lot of people who confirmed that, telling me how to speak, what I had to do, what I had to know and who I had to become to be accepted into this world. To all that conditioning, the real me, which was always in me and always will be me, was buried deep in the recesses of my mind and my heart. It is my soul; it is your soul. The great thing about our souls is that they’re changeless and eternal, and no one or no thing, no experience, no situation, even traumatic situations and experiences can alter the changelessness and the eternalness of the souls that you and I share. That’s some pretty awesome news. If you’ve been unable, for way too long to be your real self, to be authentic, know that there is a part of you, that is authentic and that is real. And that’s the part, the part of each of us, that is meant to shine, that is the part of each of us that I call our genius. It is that part of us that is eternally connected to the Universe and to all Life, whatever form it takes. From personal experience, as I begin to let go of my conditioning, which includes my beliefs, emotions and feelings that are attached to the sixty thousand thoughts that I have every day (most of which were negative in content), I realize that, if I’m able to let go of those emotions and feelings, and feel them and be with them, and release them and not resist them, I know that underneath it all, the peeling away, the shedding of the onion, all that’s left is the true, real, authentic me. And most people resist being real. They’ll even say “I can’t be real.” The truth is, we all can be real. The challenge that we face is we won’t ‘be real’ because we’re afraid of what the world will see. The truth is, the reality of who we are is not the reality of who we think we are. The reality of who you are and who I am is that we are children of the Universe. Our unique nature is unconditional love, goodness, generosity and overall well-being. But all that seems so foreign to so many of us, foreign to too many of us. Therein lies the journey home. It’s going from who you think you are to who you really are. Despite what you may think in this moment or despite what anyone has told you in the past or continues to tell you, in this and every moment you are magnificent. Boy, that’s hard to get sometimes, isn’t it? And sometimes circumstances, events and experiences and the way we behave confirm the contrary. Sometimes there’s a hideousness, an ugliness, a darkness that comes out of all of us. Know that it’s okay to come from that place. It’s been called the shadow side. The shadow in all of us has so many benefits. I believe the shadow is a gift. It is part of the agreement we make with ourselves and our souls as we incarnate as humans in this lifetime and every other lifetime that we incarnate, as a way of evolving, as a way of becoming enlightened, and as a way to raise the consciousness of this planet, so we can not only survive, so we can thrive. Realizing this, I feel there is nothing more important than you uncover who you really are: your authentic self. All that’s required is your willingness. If you say you can’t, remember it means you really won’t. You won’t because you’re being controlled within your mind by fears that tell you not to expose who you truly are, because that person is not worthy of being happy, of thriving, of evolving and growing and living life enthusiastically, inspired by all the beauty that the life…the one life has to offer all of us. Do not deny your part in this one life, you are a piece of it, and your peace is it. Imagine a part of you and a part of me that lives in peace and harmony, undisturbed by the physical third dimensional world. Many times I talk with clients about what I call the fourth dimension. It’s not some far off dimension, actually it follows you wherever you go. Imagine there is another you, walking along side of you, day in and day out, from the moment you were born to the moment you leave your body. It walks along side of you, through the good and the bad. Interestingly though, no matter what you call good or what you call bad, that parallel person is always at peace, is always loving you and everyone and everything unconditionally and knows you and everyone and everything are eternal. That is the place from which we all aspire to live, that is the place of authenticity, the place of the true, one reality. Most of the world is dreaming, most of the world is asleep, most of the world doesn’t have the slightest inclination or idea that with one decision we can change and awaken to our magnificence. My hope for you is that you awaken to your magnificence! It is a process and an undertaking. Simple to do, not always easy. 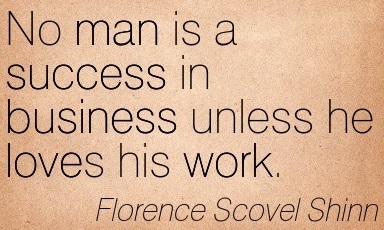 From my experience, it creates a lot of bumps and a lot of hurdles. But, as I look back I bless every bump and every hurdle and even some potholes, ditches and sinkholes that I have fallen into. But with all of that, the sun still shines on my face, no matter what. Look for who you really are, look for your authenticity. Let the sun shine on your face, feel it’s warmth, feel it’s love, let it absorb into you and realize the same warmth and the same love are in you. Let it come out, and when you say “I can’t” realize it’s just that you won’t and that you’re afraid. Question those fears and realize most of them are unfounded and come from habitual negative thinking, belief systems and conditioning. You are always one with me and with everyone else. Know that and you will find peace, be that and you will change the world. We would love to hear your comments. Tell us what it means to you to be authentic. Please leave your comments below. To learn more about The Possibility Coaches™ and how they can assist you, visit them here. 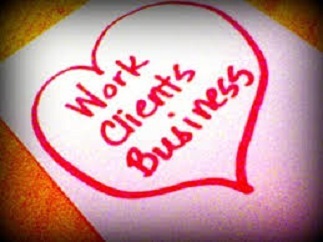 They offer a 30 minute complementary coaching session by phone or Skype. Inquire about your session here.